I’ve bought a house, sold a house, and referred a friend who bought a house all in Big Bear using Emily Cartwright. And I would do it again for two main reasons. One, she and her team are very knowledgeable about the area and real estate. Secondly, I trust her! After 30+ years in law enforcement I tend to not trust many people. But Emily has earned my trust. Just sold a cabin in Big Bear while I live in another state. I trusted Emily to handle everything and it was all done very professionally! 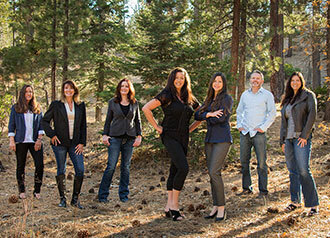 I would HIGHLY recommend her and her team for any Big Bear real estate transactions.
" Annette Contreras is the best real estate agent we have ever met. She is so professional & very knowledgeable & incredibly hard working, … continued	"